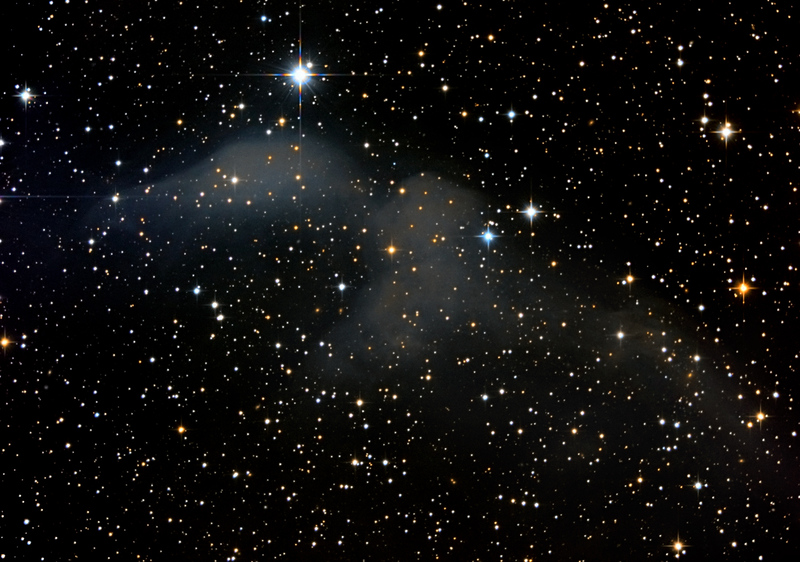 LBN 460 is a bright nebula which is rarely imaged. I found a very few images in the internet. This interesting object which resembles a bird is about 30 arc min long and it is situated in constalation Lacerta, very close to the border with Andromeda. This nebula is a dificult object to capture and to process. It needs considerable amount of exposure time. The lonely sharp spike on the left (North) comes from the 5.6 magnitude star 16 Lac (SAO 52512).